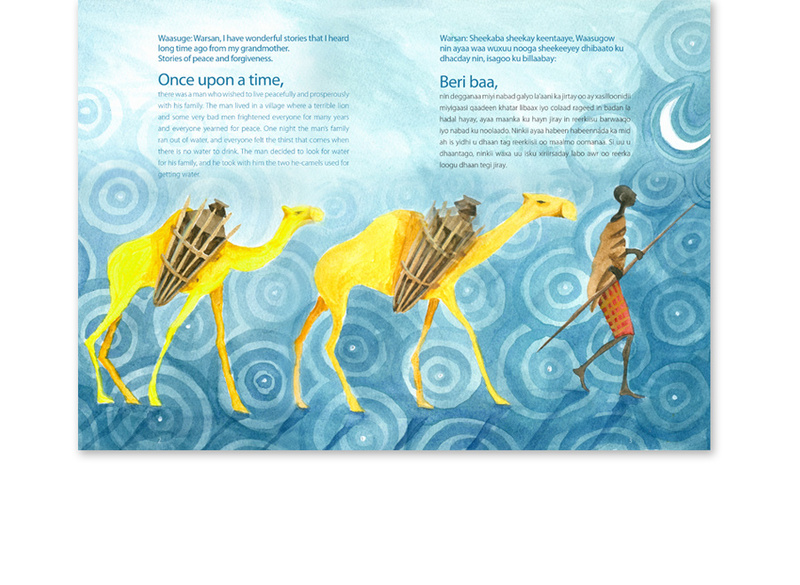 This series of five adventure books was developed for children in Somali. Funded by USAID and coordinated by Education Development Center (EDC), the stories inside are intended to teach a lesson and are often derived from well-known Somali tales. In many cases, the characters take on animal forms and represent people with unacceptable behavior. 2Creative developed the design and illustrations which are done in watercolor.